. . . with 25,178 true miles on it. 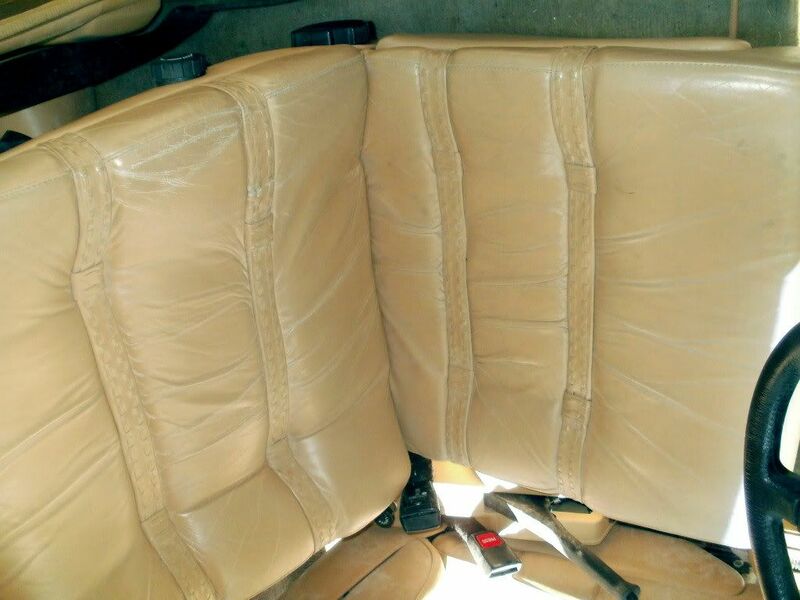 Interior leather is unblemished. No cracks, no worn places. Good cleaning and it be as new. Got a gallon each of Leathereque restorer and cleaner. No signs of sheet metal damage/repairs. The current owner lives in Athens, TN and the car has been in his hay barn for the last 19 years and in a garage for 2 years prior. Not even door dings. Gold horizontal surfaces are going to need to be painted but the bronze will clean up nicely. That makes painting a lot easier for an amateur like me. The only thing I don't like is the dealer upgraded wheels. 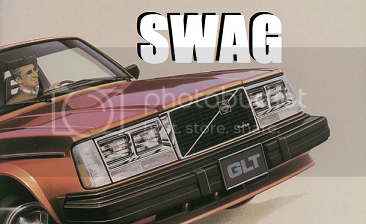 They are just not Volvo as I know them. Probably paid a $1000 for them in '81 on a $16k car. 'You want the car you gotta buy the wheels'. Not running at the moment after being stored all those years. Local mechanic has worked the fuel system from the tank forward and the owner choked when they got to the Bosch FI distributor. Had one of these as shown in my avatar and had to replace the FI distributor on that one. Plan to clean it up, paint it and use it as a daily driver. Have 4 car toys and had to agree with the wife that 2 would go. I agreed but she forgot about establishing a target date. Please forgive the extensive notes on my restoration work. Just consider them an effort to think through the issues with my fingers. Last edited by TestPoint; 11-10-2016 at 10:24 AM..
That's a really nice find! Hopefully it won't need too much to get on the road again. I've always liked these and look forward to seeing what comes of it! nice catch!! keep us posted! If you decide to get rid of those wheels, please, please let me know. I'm not too far away(Cullowhee, NC), and I have family in Blue Ridge, GA.
Gold with polished lip mesh wheels NICE! I would be very happy to swap the wheels for some OEM 25 spoke wheels. I would prefer the 15" vs the '14'. Anyone able to document the true OEM '81 wheels? My '80 Coupe had 14" 25 spoke wheels. I have the exact same car that my grandparents bought new and it had Corona wheels. my black 81 had coronas. "i live my life 17.8 seconds at a time. for that 1/4 mile or less...i'm free"
I am very familiar with the 25 spoke wheels but know little about the other wheels of the time. 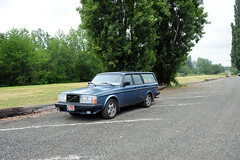 Here are some more pics of my car. I have the original Corona wheels in storage now. Last edited by y-bot; 04-09-2012 at 11:48 PM..
dude, the 81 came with 14" corona wheels with the corona hubcaps. straight up now tell ya do i really wanna luv u 4evah?! Don't enjoy towing much but got the new baby home without incident. 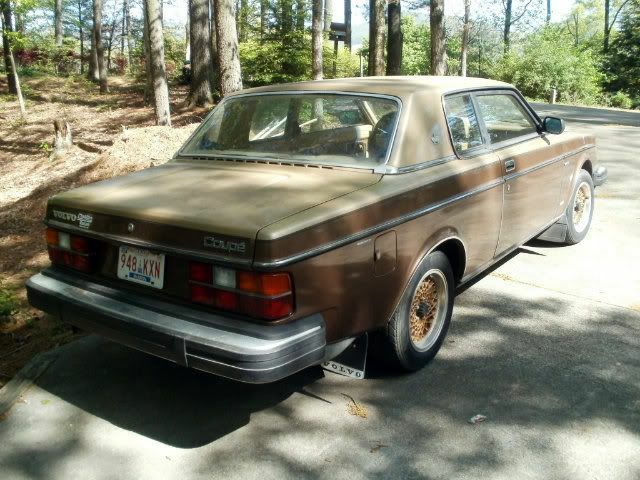 This 1981 Bertone really does have 25,178 miles on the odometer. The paint is going to have to be redone from fading but the interior is in wonderful shape. I have inspected for rust and find 3 spots in the paint, the largest less than the size of a dime and the other two the size of an eraser from small chips that were left to fester. Under carriage show no sign of rust at all. 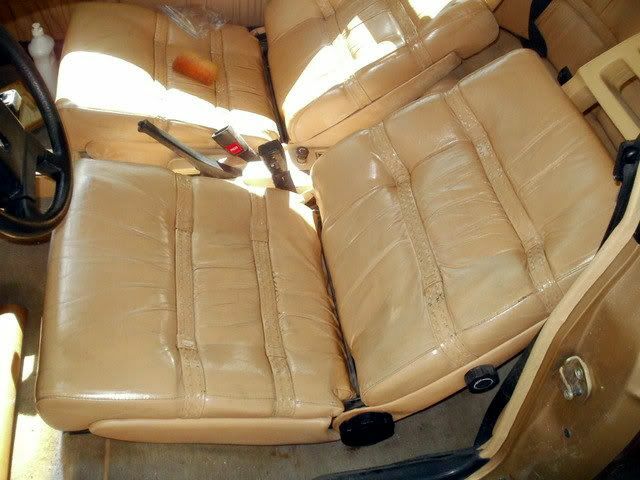 There is no wear on the seats except for just some very minor 'edge' scuffs on the driver's seat. Everything needs cleaning but that is easy. The PO had spent $2100 on lots of stuff including new in tank pump, pressure pump, fuel filter, calipers, rotors, pads, plugs, all fluids, etc. trying to get it running. Suspect the fuel distributor. The shop doing the work had purchased a used one but had not installed it. It came with the car. The tires have no wear on them but are 26 years old. 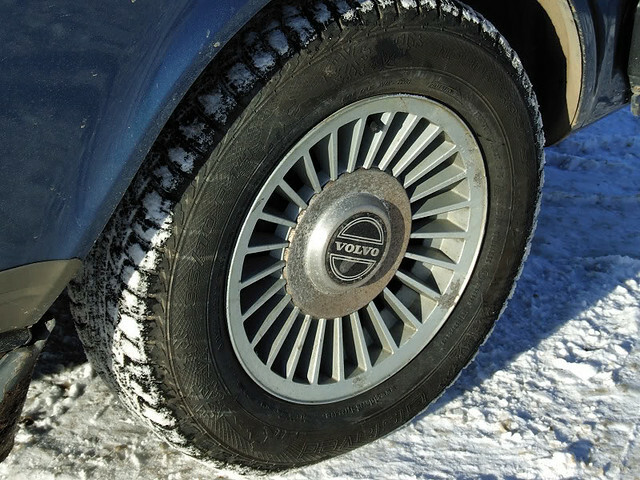 The fancy non Volvo wheels are all in unblemished condition and are 15". Needs a dash cover as this one is cracked in several places and faded. Carpet is not worn but in severe need of cleaning outside the car. Everything is there including the Owners Manual and Service Book. Jack and tools are in a matching pouch in the trunk. There really is hay in the engine bay somewhat substantiating the 19 year barn storage story. Interior as I found it. Did clean it somewhat by sitting in it. If you look real close you can see the darkened wear areas on the driver's seat after moistening with Leathereque Leather Restorer. 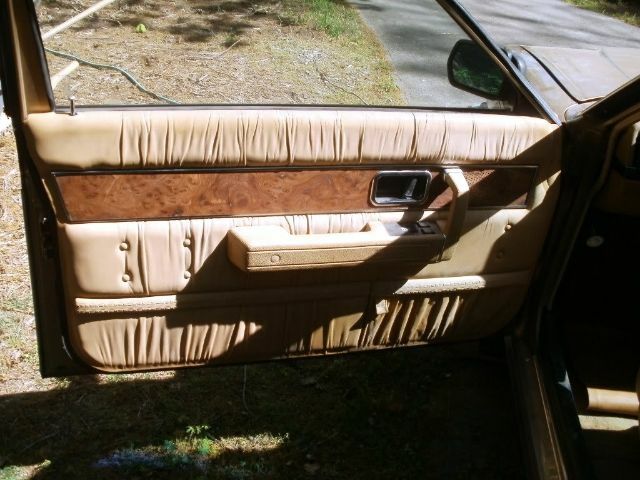 The leather covered door cards will clean up as new. Even the windshield is perfect . . . no chips, no sand blasted look but will probably need new wiper blades. Got to get it running! Last edited by TestPoint; 05-09-2012 at 06:18 PM..
Good find.I have seen this car listed on craigslist for a while.I guess you made him an offer he couldn't refuse.I have the same car, 81 with same color combo. 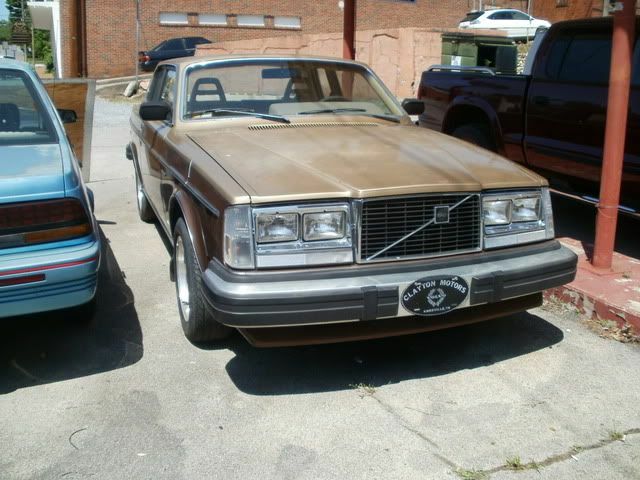 I prefer the all gold paint of the 80 coupes.Mine needs the gold paint redone and I may just do it all gold. You never saw this car on Craigslist. I guarantee that. very nice car, i like those wheels on there. if you don't like them i'm sure someone on here will take them off your hands. Could those wheels be painted the same gold when the roof/hood gets painted? The standard wheels do look nice but smallish. What do I know? My wife says her Bertone will keep the factory wheels. Coronas? This car was advertised in Rolling back in 1997, IIRC. At the time, it had less than 1,000 miles on it and had never been registered. I'll have to look for the issue I saw it in and take a pic of the ad. 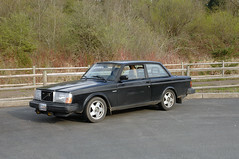 If this car had 1,000 miles on it in 97 the previous owner completely misrepresented the history of this exceptional car. I doubt if this is the same car but would love to see the ad. The Craiglist car, I believe, is a Florida car with very similar mileage and I believe it is still available for around $10,000. I could be wrong there. This is almost certainly a different car. I talked at length to the 86 year old gentleman who owned it. He told me that the car was his wife's car, had been at the repair shop for about a year, and had not been driven since his wife died 17 years ago and had not been driven much the previous 2 years while she was ill. His wife had driven it little for several unquantified years before that. He was not the original owner as I found that information in the glove box. It was sold new in Jacksonville, FL. 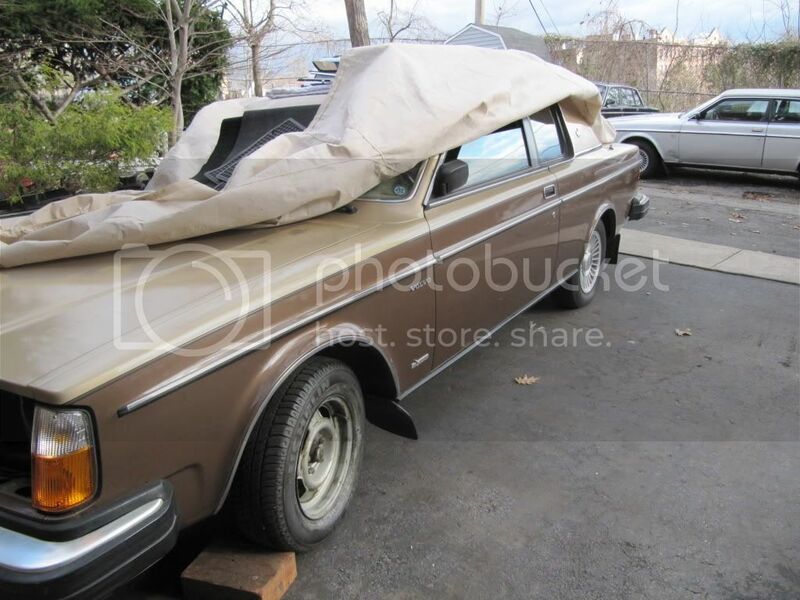 I'm trying to get a local parts store to save the year old battery then I will attempt to trouble shoot the non starting issue while I am working on the leather interior. The car is going to need paint. 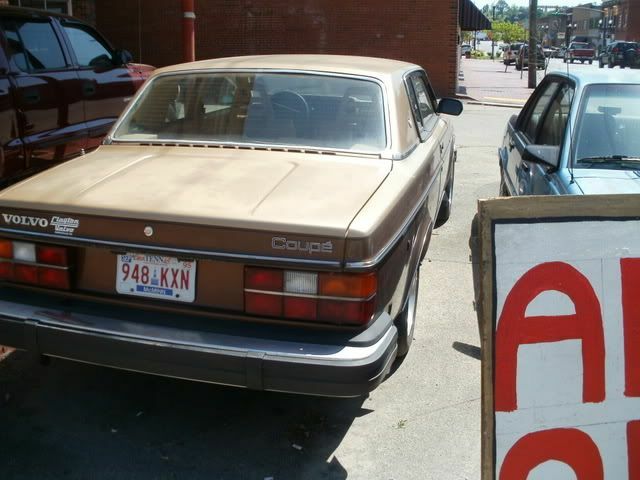 I am not really fond of the gold/bronze and would consider a solid gold as this car came in 1980. I has a gold '80 as shown in my avatar. Also not fond of the non Volvo wheels. At a minimum I would paint the copper/gold to match the body gold . . . or the body bronze. I think I am going to use it as a daily driver toy car but have two other DD toys in addition to the 'official' DD the wife uses and at least one if not two is/are going to have to go. 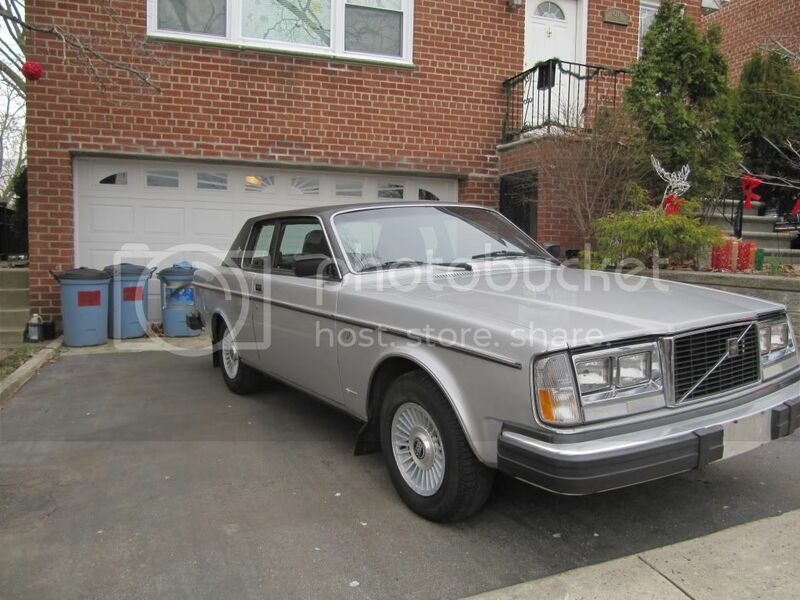 The question is: Should this car be restored as an '81 to preserve it as a true low mileage collector original or neatened up as I would want it? Leaning to original restoration but what say you? Last edited by TestPoint; 04-15-2012 at 09:20 AM..